WatchDogue, Reflex, arogle1stus and 4 others like this. Honestly think you are still being good DubyaDubya ! rather HUGE congrats ahead of time !!! Roarry and DubyaDubyaSF like this. Congrats on that pick up, that particular Dan Henry has been on my radar for a while. 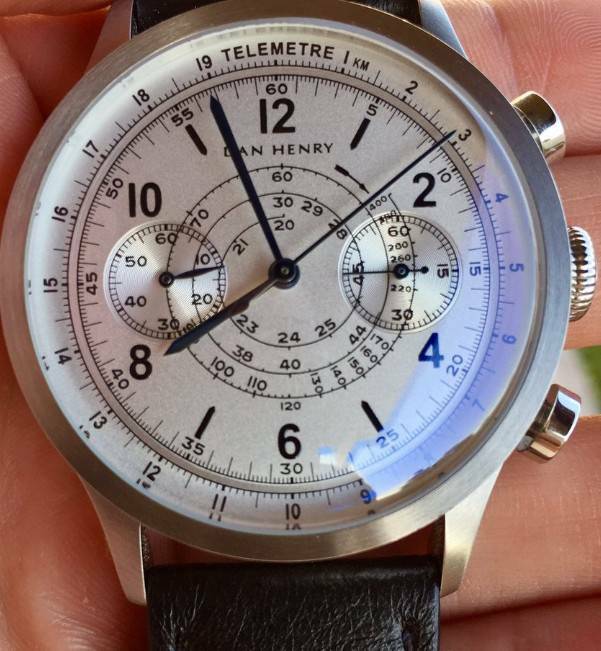 They make some fantastic watches, great customer service too. Enjoy and please keep us updated. Congrats indeed. I think you're going to be very impressed with that watch. Wow, a real beauty there! Very nice! Went with a leather strap instead, but may order a black rubber one as well, once it arrives. Maybe a Hirsch Urbane. 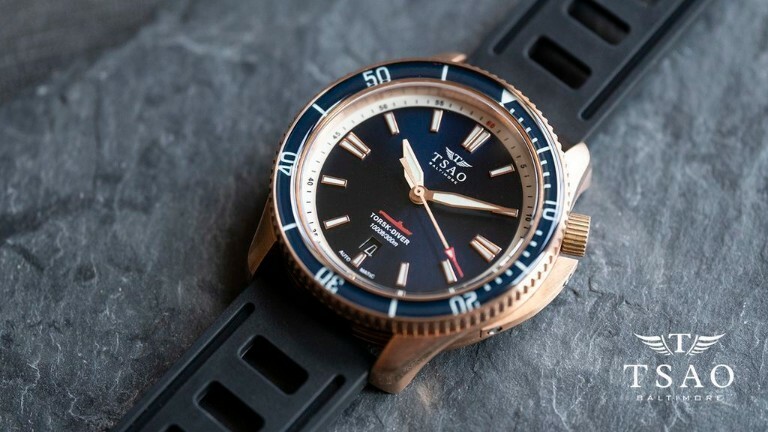 Was actually writing up a new question to post -- will be up shortly -- and, in the midst of it, was pondering bronze divers....made the mistake of asking myself, "Hmmm, I wonder what bronze divers are out there, right now, with a fully lumed bezel?" 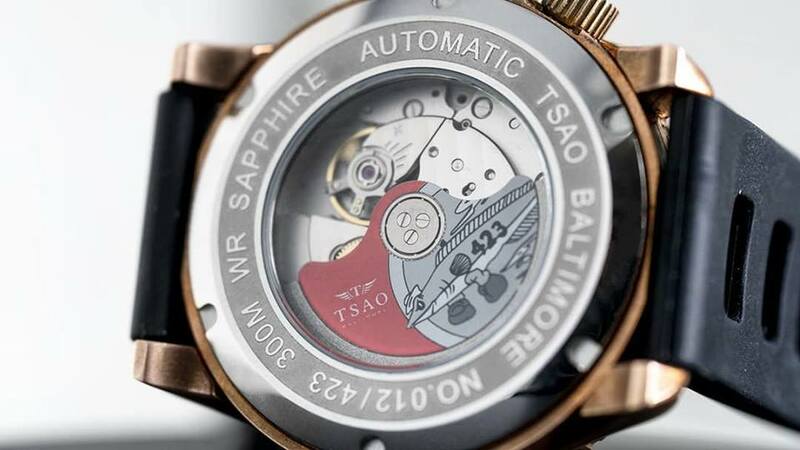 Was just bookmarking a special edition Davosa, and looking at Chris Ward's model (no lume on the bezel there) but came across that micro, from Tsao Baltimore, for a third of the price! Could not resist! Will have to wait a few months to get it, but definitely seems worth it. Have been wanting a bronze diver for an age now, and keep missing out on other micros that have released them, so pulled the trigger right away. 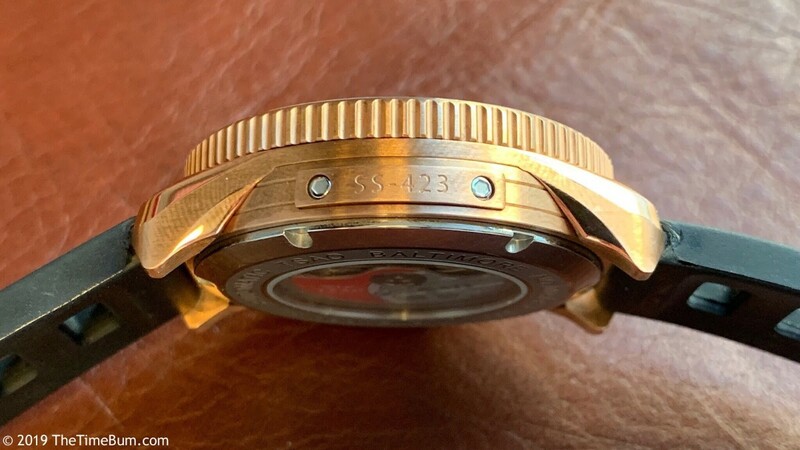 Sapphire crystal, sapphire bezel, sapphire exhibition case back, Miyota 9015 high beat movement, 48h PR, 300m WR, marine grade bronze case, good heavens, these micros can make some stuff! 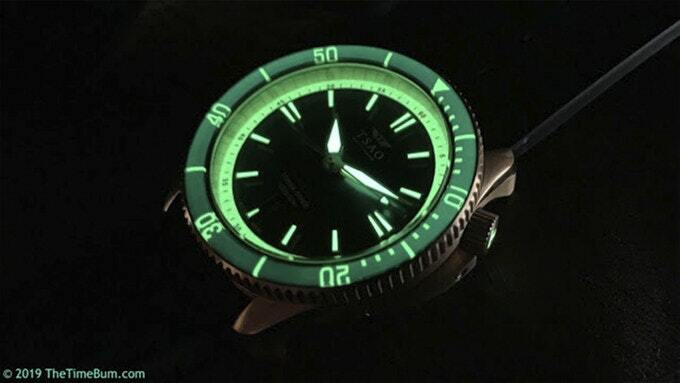 This lume is nuts! desk_diver and DubyaDubyaSF like this. Thanks guys, I'm super excited and can't wait for it! I will definitely take pics ad nauseum when it arrives. It just looks like nothing else I own and I imagine it could've been Bond's beater when he had his Rolex Subs in for service. Luving the dial color arrangements. Ya dun good!!! Dang, I must have taken this as a challenge as I couldn’t seem to stop at just one... fell in love with this Deep Blue NATO Diver 300 and couldn’t seem to resist 40% off. ABSOLUTELY NO MORE UNTIL MY GRAIL!!!! Can't have a watch fund without the word fun. Nice watch. DubyaDubyaSF and timemoves like this. Too good, and too funny DubyaDubya !! Wow, that is going to be just as amazing honestly !!! GoodWatch and desk_diver like this. Outstanding! Enjoy this wacth very much! Congrats once again on that pick up, that piece looks excellent. the watch surpasses all expectations DubyaDubya !!! strap. It's like you went back in a time machine to pick up this stunner ! Boy oh boy, hope you enjoy ! ..Big congratulations once again !! !